The honor of your presence is requested at a Private Reception hosted by Sir Richard Branson and BMR Energy at the JW Marriott Marquis, Miami on 19th October 2017, at 7:30pm. Cocktails and a buffet [dinner] will be served. 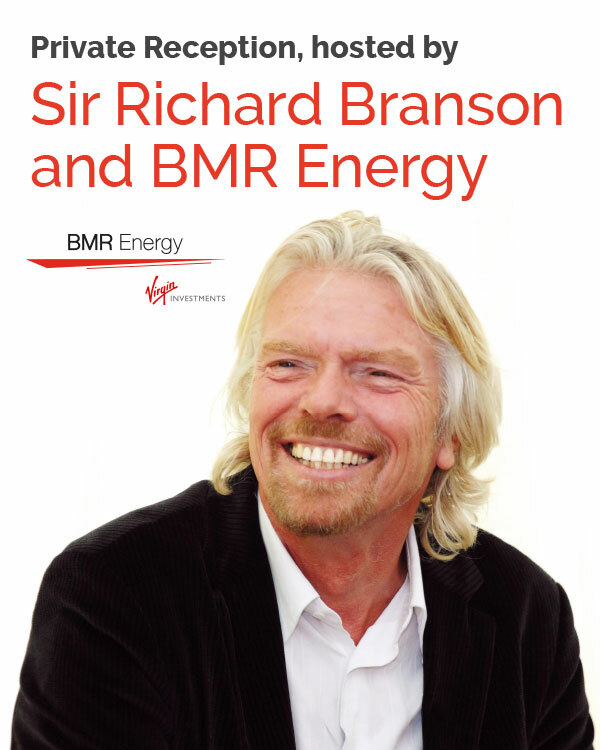 Richard Branson and BMR Energy are dedicated to driving a collaborative approach to increased implementation of renewables across the Caribbean. As the Caribbean Renewable Energy Forum (CREF 2017) once again brings together stakeholders from across the region to drive the acceleration of clean energy projects, BMR looks forward to hosting an evening of cocktails and networking, led by opening remarks from Sir Richard Branson of Virgin, and Bruce Levy, CEO of BMR Energy. The event will be attended by champions from governments, utilities, the private and the non-profit sector, supporting the notion that together we can drive progress and deliver sustainable outcomes.